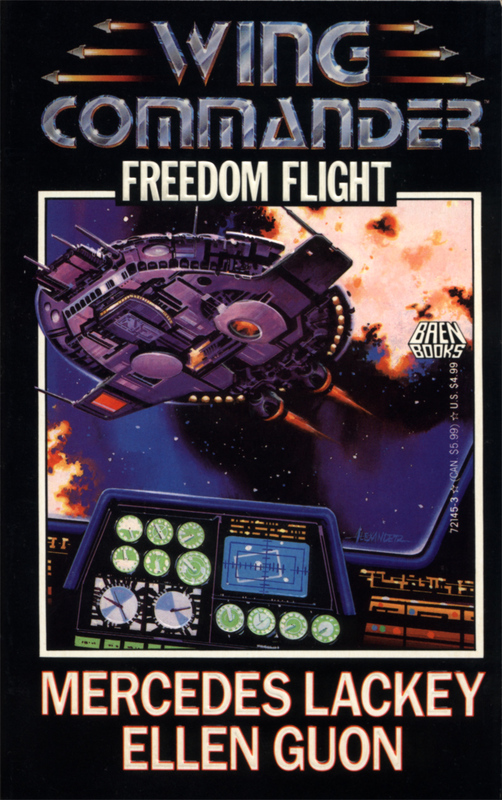 The first Wing Commander novel, Freedom Flight was released in 1992 by Baen Books. 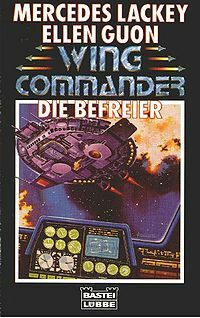 It was outlined by famed fantasy novel author Mercedes Lackey, and written by Origin employee Ellen Guon, author of the scripts for Secret Missions 2, Wing Commander II, and Special Operations 1 and 2. The two would later go on to write several books together. 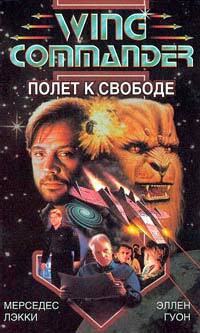 The plot is set during the events of Secret Missions 2: Crusade, as Ralgha nar Hhallas, Kilrathi nobleman, Fleet captain and Ghorah Khar underground rebel, is tasked to defect with his ship to further the rebellion against the Emperor. The subsequent story follows four main characters: James "Paladin" Taggart, Confed special ops agent; Kirha, a young Kilrathi retainer; Ian "Hunter" St. John, Confederation fighter pilot, and K'Kai, Firekkan pilot and patriot. Ralgha nar Hhallas, captain of a war cruiser, noble lord of the Kilrathi Empire―and a rebel. . . .
Captain K'Kai of Firekka, first of her winged species to leave her planet for the stars. . . .
Captain Ian St. John, call sign, “Hunter,” hotshot human pilot―he thinks he's just in it for the thrill of the chase. . . .
Rikik, K'kai's niece, hereditary leader of her clan―all she wants to do is follow in her notorious relative's footsteps and fly the stars. . . .
Alternate version? 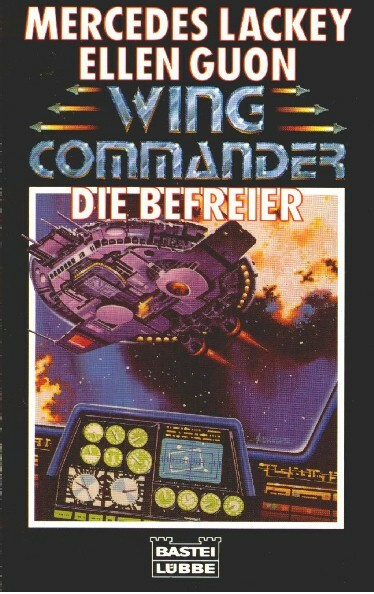 ISBN 1555940080 / 978-1555940089, listed as an import on Amazon. Update: every 'alternate' copy I order is the original book with the original SKU; not sure why extra ISBNs are listed in the world.